Aerial shot of Table Mountain. Image: iStock. This is notable also due to unfavourable conditions in traditional markets such as the UK discouraging travel. 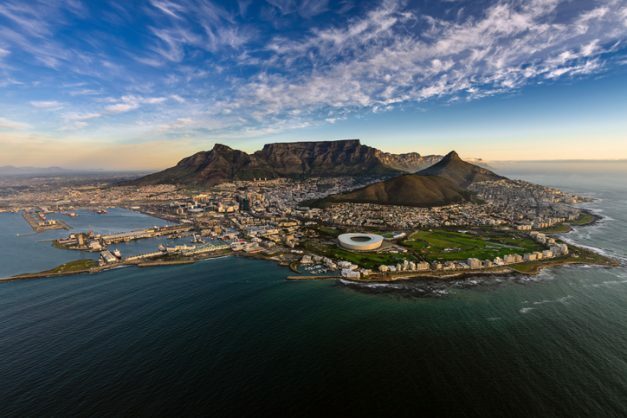 International arrivals to the Western Cape remained steady between January and November 2018 with a 0% overall increase compared to the previous year. This was revealed by Wesgro in Wednesday’s Standing Committee on Economic Opportunities, Tourism and Agriculture. Despite a lack of growth in international arrivals in the past year, it is indeed commendable that the numbers remained steady in the face of the province’s worst hydrological drought in a century, and unfavourable conditions in traditional markets such as the UK where uncertainty surrounding Brexit and a weaker pound-euro exchange rate have discouraged travel. Most notably, arrivals from Zimbabwe increased by 28% thanks to Wesgro’s Cape Town Air Access which connected Harare to Cape Town through the Kigali-Cape Town route on RwandAir. Commenting on the matter, Tertuis Simmers – a DA MPP and standing committee chairperson on economic opportunities, tourism, and agriculture – said: “This increase in regional travel has essentially supplemented a temporary drop in travel from traditional markets, and is a fantastic achievement for the DA-led Western Cape as we strive to grow this sector as a vital job-creating industry for our residents. Simmers said it was also worth noting that between December 2017 and December 2018, travel to Robben Island increased by 27,9%, travel to the Wilderness National Park increased by 22%, and travel to the Table Mountain Aerial Cableway increased by 5.8%. “This is in line with Wesgro’s strategic goal to grow tourism across the province by empowering municipal and local government to use local attractions to stimulate regional tourism and create much-needed jobs,” said Simmers.